Philadelphia is entitled to receive federal grant money despite an ongoing battle between city officials and U.S. Attorney General Jeff Sessions over so-called sanctuary cities, a federal judge ruled Wednesday. Baylson's decision prompted Kenney, who has fought with the White House over several issues since Trump took office, to do a little victory dance in front of staffers. The video was tweeted Wednesday by his deputy chief of staff. 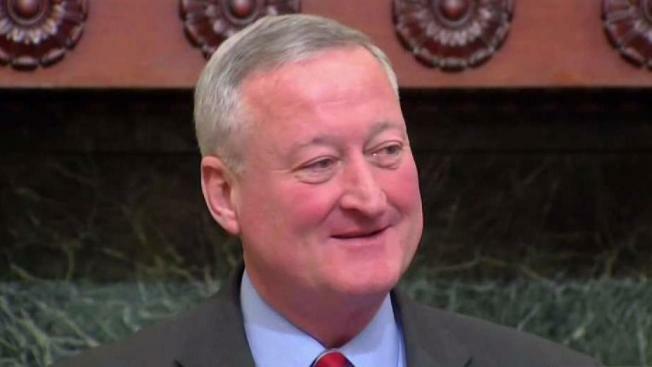 Kenney applauded the decision, calling it a "total and complete victory" that "prevents a White House run by a bully from bullying Philadelphia into changing its policies." But in its response, the Department of Justice called Baylson's ruling a "victory for criminal aliens in Philadelphia, who can continue to commit crimes in the city knowing that its leadership will protect them from federal immigration officers." In his opinion, Baylson cited public remarks made by Sessions and President Donald Trump accusing immigrants of committing more crimes than native-born citizens. Those statements “are inaccurate as applied to Philadelphia, and do not justify the imposition of these three conditions” in order to receive the grant money, Baylson wrote in his opinion. Philadelphia initially sued Sessions after the attorney general threatened to withhold funds if the city did not fully comply with new and “unprecedented” requirements on the Edward Byrne Memorial Justice Assistance Grant (or JAG grant), which provided Philadelphia with $1.6 million last year to spend on police overtime, training, equipment, courtroom technology and other aspects of the criminal justice system. Philadelphia's attorneys had argued the move is unconstitutional and that it harms residents by withholding money earmarked to help buy kits to counteract opioid overdoses. The original lawsuit referred to Philadelphia's "vibrant immigrant community" as a vital part of its workforce and says the city has adopted policies "that seek to foster trust between the immigration population and city officials and employees." As a rule, Philadelphia officers do not ask residents about their immigration status. Sessions, at the behest of the Trump administration, announced new conditions in late July for any city or state receiving public safety grants. They required municipalities to provide ICE with 48-hour notice of any scheduled release of so-called prisoners of interest and allow immigration officials to interview inmates while in custody. Philadelphia has said as a "sanctuary city" it will only turn over immigrants to Immigration and Customs Enforcement if they have a warrant signed by a judge. The city was fighting federal efforts to block funding as a result of the policy. A spokesman for the city said early Wednesday afternoon that staff is reviewing the ruling. A request for comment from the Department of Justice was not immediately returned Wednesday. The ruling is the latest blow in a battle between sanctuary cities that decline to cooperate with federal immigration agents, and a Trump administration determined to crack down on illegal immigration. Sessions has said that cities that don't help enforce immigration law are endangering public safety, especially when it comes to sharing information about immigrants who have been accused of crimes.